SCX-4650 comes pre-equipped with a memory of 64 MB size and a processor with a clock speed of 433 MHz. The unit is compatible with an interface of USB 2.0 and can be used for printing, scanning, and copying. The printer supports use with operating systems such as MS Windows, Mac OS, and Linux. An LCD panel rounds out its physical feature. SCX-4650 consumes 450 watts when operating and 65 watts in standby mode. It emits a noise level of 53 dB when operating and 26 dB in standby mode. The unit is of 410 mm width, 341 mm height, 295 mm depth, and 8.6 kg weight. 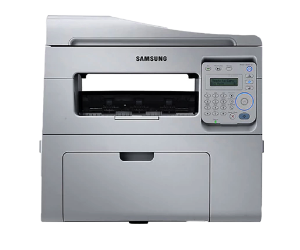 When it comes to printer driver installation on Mac OS-based devices, you can rely on the Samsung SCX-4650 Printer Software Installer. The app is a web-based installer that will handle anything to do with the installation of a driver for a printer that is connected to a Mac device at the moment. You can just open the Installer and select the Mac OS icon onscreen. Afterward, you can move on to selecting the mode of installation. Download printer installer package. Open the Samsung SCX-4650 Printer Installer folder. Double-click on the .pkg file. The system will look for software required for the installation. Select software SCX-4650 and driver SCX-4650 to install. Click Next. The system will look for software required for the installation of SCX-4650. Select software and driver to install. Click Next.